Earlier this month, Michael Moore announced a one-man show called The Terms Of My Surrender that boldly asked in its poster if a Broadway show can “take down a sitting president.” That show won’t start previews until July, but Moore has already announced a different project that he’s also positioning as the one thing that will dethrone Donald Trump. According to Entertainment Weekly, Moore is teaming up with Bob and Harvey Weinstein for a new anti-Trump documentary called Fahrenheit 11/9—supposedly named for the day when Trump’s victory was made official, but really it’s just a cutesy nod to Moore’s Fahrenheit 9/11. The movie will reportedly “examine the factors that contributed to Donald Trump’s 2016 presidential victory,” and Moore says that the production has been happening “under a strict cloak of secrecy” because the movie is “expected to be key in dissolving Trump’s ‘teflon’ shield and, in turn, his presidency.” Now, that’s obviously a staggeringly huge claim to make, and Moore does have a tendency to make his films seems a bit more important than they sometimes are, but he really seems to believe that he has uncovered the key to stopping Trump. 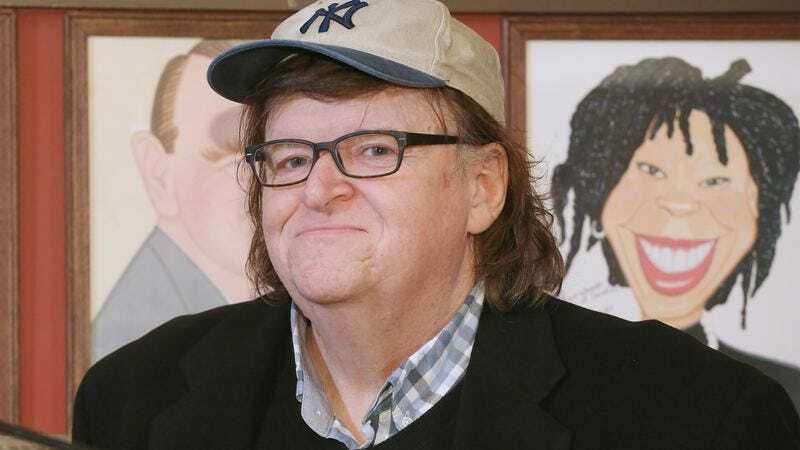 In a statement, Moore said that “facts, reality, brains cannot defeat [Trump],” and “even when he commits a self-inflicted wound, he gets up the next morning and keeps going and tweeting.” Supposedly, “that all ends with this movie.” We don’t know very many specifics beyond that, but the Weinsteins says that Fahrenheit 11/9 will be just as big as Fahrenheit 9/11. The movie doesn’t have a release date yet, but the Weinsteins also teased that it will have “one of the most innovative distribution plans ever.” Maybe it will just be streamed directly to the White House’s screening room?